At the Transparent Factory in Dresden Volkswagen produces one of the finest automobiles in the world: the Phaeton. The limousine's quality and comfort (four-wheel drive and air suspension as standard) set a unique benchmark. 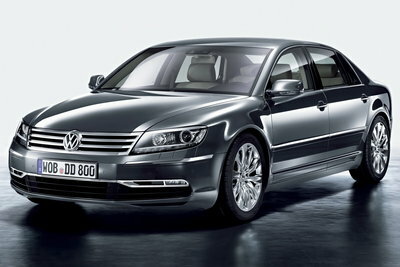 Volkswagen, the most successful carmaker in Europe and China, has now made the Phaeton even more perfect. The company's new flagship is being unveiled for the first time at Auto China 2010 (27th April to 2nd May) in Beijing. Its contours are...Read.